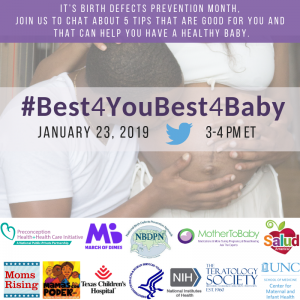 It’s Birth Defects Prevention Month — come chat with us! Did you know that January is Birth Defects Prevention Month? According to the Centers for Disease Control and Prevention (CDC), every 4 ½ minutes a baby is born with a birth defect in the United States. That means about 120,000 babies are affected by birth defects each year. Birth defects are health conditions that are present at birth. They change the shape or function of one or more parts of the body and can cause problems in overall health. Although birth defects can occur during any stage of pregnancy, most occur in the first 3 months of pregnancy, when a baby’s organs are forming. Not all birth defects can be prevented, but there are things you can do to help you have a healthy pregnancy and healthy baby. 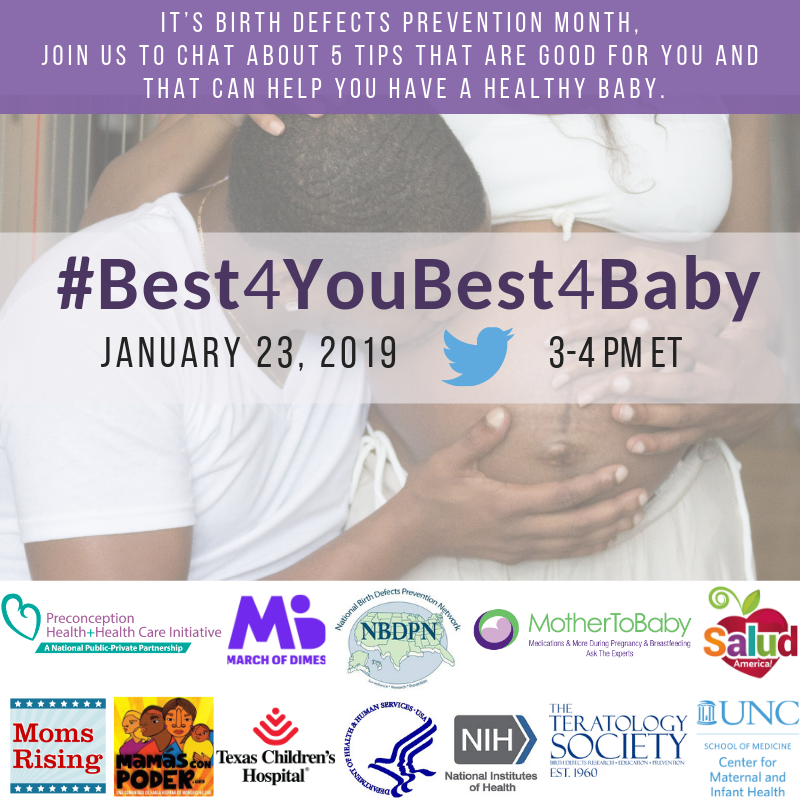 We are excited to join with these great partners and organizations to talk about healthy behaviors all women can adopt to increase their chances of having a healthy baby. So mark your calendars and make sure you participate, retweet and let others who might be interested know!